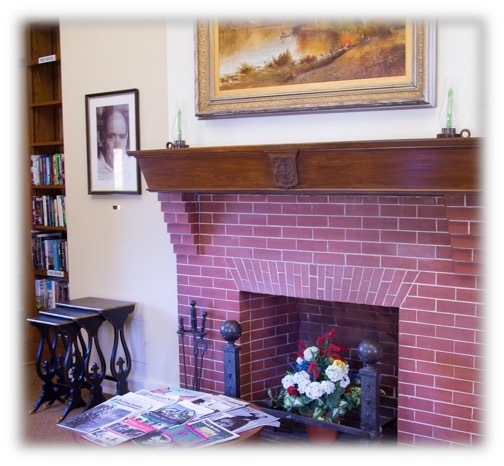 In addition to the online and tangible resources the Library provides, and the training and support services the Library staff offer, there are many amenities available within the Carnegie Library building itself. There are several study/reading rooms, the Russian Tea Room café, a meeting/conference room, and a computer lab. Please see the descriptions below for more information. And, please, feel free to make use of all these amenities whenever you wish. The Russian Tea room is a kitchenette located centrally in the basement of the Library, between the two staircases. A coffee maker and electric kettle are provided for your warm beverage needs, as well as coffee, tea, sugar, cups and stirrers, etc. Please obey all printed instructions for using the equipment to prevent damages. The coffeemaker especially is in high demand among our patrons and staff, and equipment outages affect us all. There is also a refrigerator/freezer and a microwave provided. If you're planning a long day studying in the library, or just want to enjoy the ambiance, feel free to temporarily store and reheat your food here! We request only that you do not leave food for longer than two (2) weeks, or our staff will be forced to dispose of it. Also, please clean up and spills or splatters in the microwave. This is a communal space, and we all chip in to keep it clean and appetizing. Finally, feel free to peruse our rack of magazines while sitting at our table and chairs. 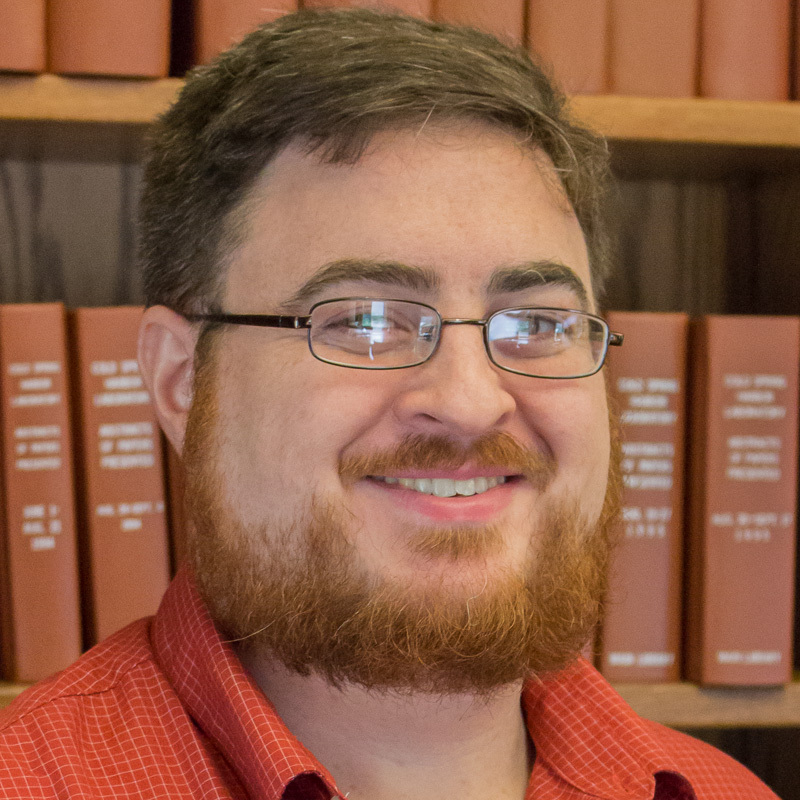 The Library staff also frequently leaves snacks, cookies, or other desserts out on the table. First come, first served! 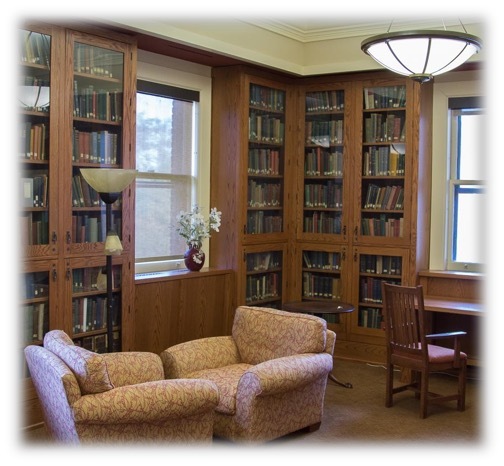 The Waclaw Szybalski reading/meeting room is one of the most sought after spaces on campus! Whether you are looking for a large group meeting space, or simply wish to read in serene and cerebral comfort, the Szybalski room is the place to be! Peruse the collection of books, including Jim Watson's personal library, take in the rotating Archives' displays, and marvel at the busts of Watson and Crick. The large central table seats 16, and there is additional window bench seating and four (4) personal cushioned seats. Presentation and teleconferencing equipment is available upon request. Electrical outlets are available for those seated at the table. 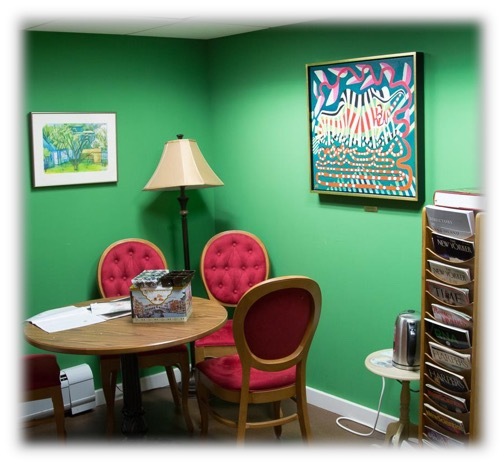 The Szybalski room is available M - F, 9 am - 5 pm, either by reservation or on a walk-in basis. Please contact Tara Bonet-Black (x5020) for reservation information. We request that all backpacks and large bags be left outside the room, and please, no eating or drinking in the Szybalski room. The Norton Zinder Reading Room is a beautiful and relaxing room to get some work done on one of the Library-provided computers (2 Macs, 2 PCs), study, or peruse the table-top exhibits curator by our staff Archivist. 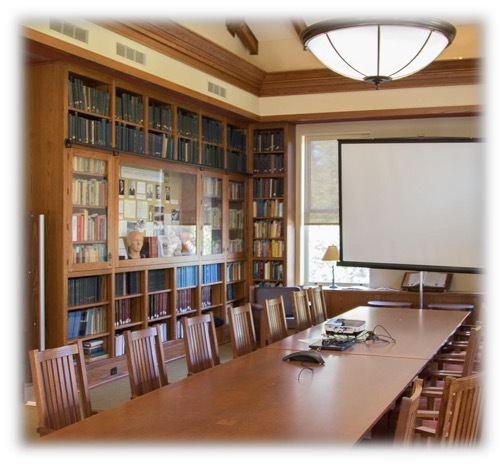 The Zinder room is home to the bound WSBS student theses, our oversized book selection, the CSHL Press book publications, and CSHL Meetings and Courses meeting abstracts. The Zinder room is available 24/7. In the Sydney Brenner room, you'll be able to relax in a comfortable chair and read the latest newspapers our print journals. You can even partake in some pleasure reading, with the collection of free non-science books provided by Liz Watson. The Brenner room also contains a PC for public use. 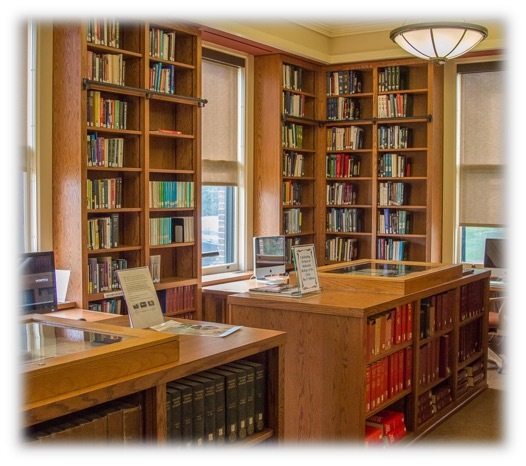 The Rare Books room of the Carnegie Library building is located on the second floor, at the top of the main stairs. Surround yourself with books dating back as far as 400 years for a truly historic study experience! The central table seats eight (8) for small meetings, or there are large comfortable chairs for reading, or two (2) desks for study. The Rare Books room is available 24/7. The rare books themselves, however, are unavailable, and are locked behind glass cabinets.